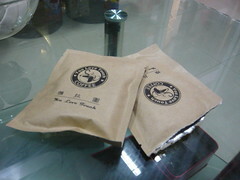 Got a batch of coffee from Ta1wan. While Ta1wanese coffee may be relatively unheard of back home in Singapore, the coffee produce by the indigenous folks (原住民) is something worth checking out. 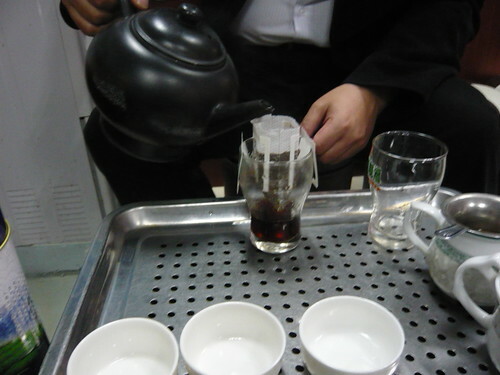 Despite myself being a loyal Vietnamese coffee fanboy, I have to say that Ta1wan coffee is actually quite good too. Anyway, it is this batch of coffee that caught my attention. 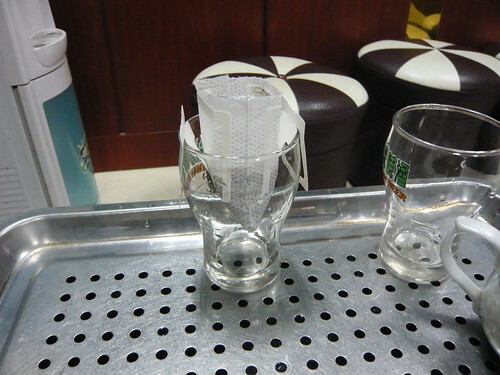 Not such much about the coffee itself but the innovative filter bag that comes with it. I do have to add that the coffee inside are not indigenous Ta1wanese coffee unfortunately. According to the outer bag, it is a mix roast of Indonesian (I am guessing Java) and Brazilian (I am guessing Arabica Robusta). The beauty of the self-filtration system is the elimination the need for a coffee maker as well as the relief of the indignation of drinking *gasp! * instant coffee. In the bag are the individual sachets of coffee filter bags where you tear open one per serving and fish out the filter bag inside. 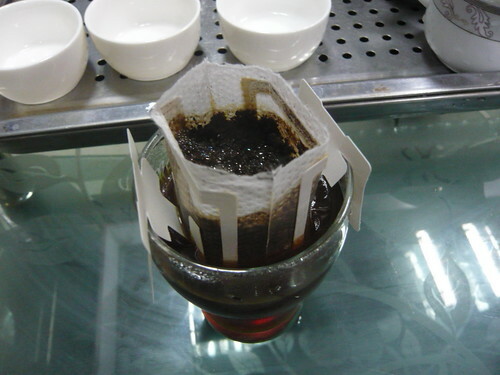 Pour in the hot water and let the water work its way through the coffee filter down into the cup. After that, you just let the whole bag soak in the cup. Strength of the coffee will depend on the duration you leave the bag in the cup. It is a balancing act of getting a coffee strong enough versus getting a coffee hot enough. It is very much up to the individual preference. Thereafter, just pick up the filter bag and throw away. No mess! Click here to see the instruction printed on the back of the bag. In all, I think the whole straddle bag this is a very smart innovation. Kudos! I won't be surprised if this turned out to be a Japanese innovation instead as Taiwan has always been closely following the Japanese.